The Pharmaceuticals Industry comprises of all departments like any other organizations but the major critical department is the Research Laboratories wherein the security is of major concern as it is vulnerable to threats like product tampering this can be neutralized by restricting access of the unauthorized users in the secured premises. smartDIS - Pharma Clean Rooms are efficiently protected from cross contamination by smartDIS, a reliable Door Interlock System. It helps maintain Differential Pressure between the cleanroom production area and non-production area outside, which in turn ensures that the clean rooms remain clean. smartXS NG plus - Clean rooms need to be more secure than ever before due to stringent audit norms. smartXS NG plus Access Control System allows only the authorized persons to access restricted clean rooms with recorded transactions for future reference. This has unique inbuilt door interlocking feature to make it 2-in-1 options at no extra cost. It also helps control movement between facilities to prevent cross contamination. This feature truly helps pharmaceutical companies in USFDA audits by providing CCTV image and clip directly against access transactions. Thus helping to track unauthorized tailgating. enviroDPMS is designed considering the GMP guidelines for cleanrooms. Its accurate sensor continuously measures, displays & logs the Differential Pressure thus providing more reliable electronic data, without human intervention, for USFDA, MHRA, FDA, WHO audits. enviroDPMS further facilitates to monitor temperature and humidity as well. It can also be connected to any BMS using MODBUS standard interface. Wireless enviroPDL- Cleanrooms while validation frequently come across changing Hot spots. enviroPDL is a Battery operated Temperature indicator and logger with wireless interface, can be easily shifted to new Hot Spots .It send data on DPMS or Master to finally send data to software for Record and analysis. Wireless enviroPDL gives this flexibility of shifting location which fixed wired sensor scanner cannot. smartCLOCK is a master-slave configured GPS synchronized clocks for pharmaceutical clean rooms. Master with its GPS interface gets universal time while, slaves get same time for display using RS 485 or RF wireless interface from master. Slaves can communicate with each other to create network of multiple slave clocks in a given facility. Master is also available with Ethernet for server based time synchronization. smartINTEGRA is an automated system that integrates Safety & Security system - such as Fire, Intrusion, Access Control, Video Surveillance, Temperature Monitoring, Energy monitoring, Power management and DG monitoring, etc. - in one panel and ensures hassle free security of multi-location facilities like pharmaceutical warehouses, cold storages & manufacturing units. With huge power consumption due to HVAC, power monitoring is all the more important for pharmaceutical units & its distribution centers. Our centralized power monitoring and analysis services help control huge expenses on power, by tracking consumption (quantity) and the power factor (quality) making each Bank Branch more power efficient & green. Efficient & Reliable functioning of DG is possible by continuous monitoring of DG output & input parameters. Diesel power is much more expensive compared to the Mains power. Hence centralized monitoring by our smartDGPOWER essentially helps the management to monitor and ensure DG usage only when, and as long as, absolutely necessary. It also ensures maintaining all the health parameters of the DG & therefore the quality of the power it generates. TempTracker - The Multipoint temperature scanners and loggers with wired and wireless sensors, ensure accurate & reliable mapping & monitoring of Warehouses. TCPIP & GPRS network capability ensures very effective centralized monitoring of multi-location warehouses. Wireless enviroPDL, Pharmaceutical warehouses are normally huge in size, it’s practically impossible to run sensor wires to Map temperatures across various Locations within warehouse. Wireless enviroPDL send data to Master unit at preset interval and during deviation for record and alarms for corrective action. Alarm can be immediately addressed from iAM or a notification can be sent on mobile app. 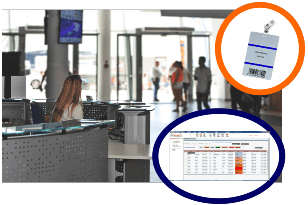 Multi-location Centralized Attendance Management: - Accurate monitoring of attendance, simultaneously at multiple branches, warehouses with relevant checks and analysis, is possible with the smart-i multi-location attendance management software. Push Data Mechanism: - To download data from multiple locations to the central server. Useful MIS: - Wealth of MIS reports for audit and analysis, periodical as well as real time, are available on private and public cloud to the management. Complete online attendance management: - Online attendance/ leave/ shift management and checks from anywhere / anytime. State-of-art smart card readers & controllers offering enhanced security through encryption and mutual authentication. Be free from compromised data or duplicate access events with advanced key management systems & intelligent Wiegand output. Software support that facilitates to define various kinds of Access management rules – viz. holiday restriction, anti-pass back - and restrictions for devices at various revels – viz. controller, reader, etc. Get hold of actionable reports which is very useful for any organizations i.e. access reports, In-Out reports etc. Email and SMS notification can be sent for any configured process i.e. on late coming, early going etc. which in turn can be verified from CCTV captured event as well. Visitor identification & management software designed to cater from small offices to multi building premises. 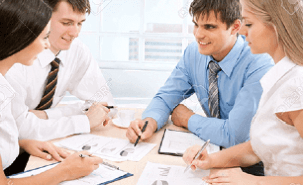 The software serves the purpose to avoid long queue and unwanted visitor in an organization. The software collects and maintains visitor information in an organized manner which helps the organization to deal with visitor’s data in effective way with Aadhar compatibility floating visitor can be verified more accurately than ever before. The Server Room Solution from smart-I is a compact comprehensive Access Control plus Environmental and Energy Monitoring solution. It includes a single 1U unit to control the server room door access with in / out reader. Plus, for Environmental Monitoring it has a) temp + humidity – 8 sensors, b) digital input 4 nos. for water leakage detection, smoke detection and alarm Ack. and c) a digital output for alarm. Further, if needed individual racks can be access controlled using one master biometric unit along with a Slaves Secure Access Module (SAM) fitted on individual racks. Up to 8 such racks can be controlled this way. Monitors all parameters e.g. Temperature, Humidity, Differential Pressure, etc. SUN Pharmaceutical Industries Ltd. was established with 5 psychiatry products and 2 person marketing team. A compact..
India's largest pharmaceutical company, Ranbaxy Laboratories Ltd. is an integrated, research based..
Alkem Laboratories Ltd., is world over known for premiere healthcare institution in generics and brand formulation..